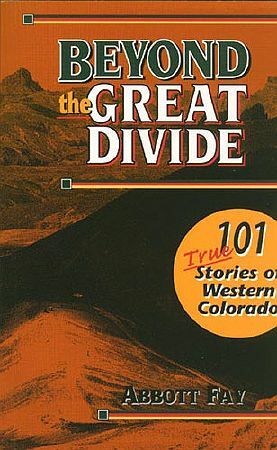 Abbott Fay, Colorado's noted historian reveals unusual facts and stories about the Centennial State--focusing on the Western Slope, "beyond the great divide" from eastern Colorado. A retired history teacher and an adjunct professor for three colleges, Abbott Fay has for five decades been dedicated to the vibrant history of Colorado. Here he shares 101 unique stories of places and people during Colorado's early days. Several explorers claimed a wooden sailing ship was found near Red Cliff in 1879 stuck in ice in a cave filled with crystals and gold? Delta women went on strike in the 1880's refusing to cook evening meals until the sidewalks were built and streets paved? Silverton sprouted the first nationally recognized "cowboy band" in 1885? In 1885, elephants pushed a train over Boreas Pass--the worlds highest railroad crossing?